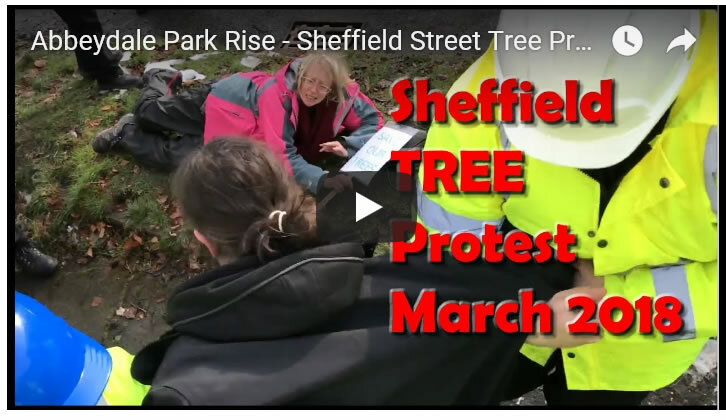 Four Sheffield citizens are in court this week for potential committal to prison for the part they played in Sheffield's anti street trees felling protests that have seen more than 20 arrests this year alone which culminated in an halt to tree fellings announced late March in the run up to the May 3rd local elections that saw Labour lose 5 council seats as a consequence of the Labour council and it's contractor May's tree fellings programme. 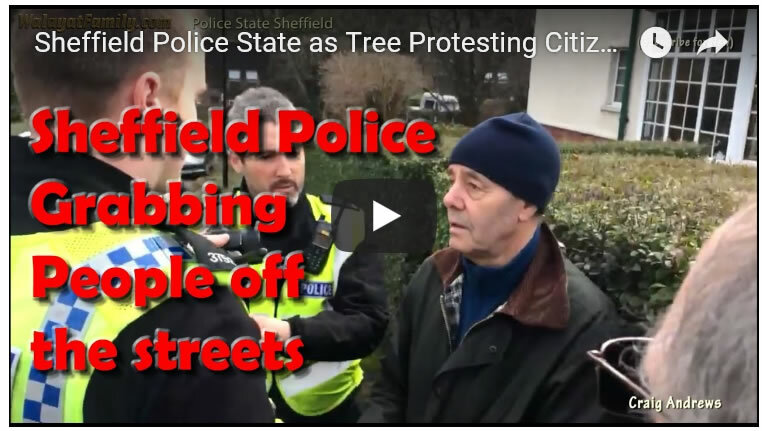 The halt in street tree fellings continues as the protest drama now plays out in the high court in Sheffield this week. 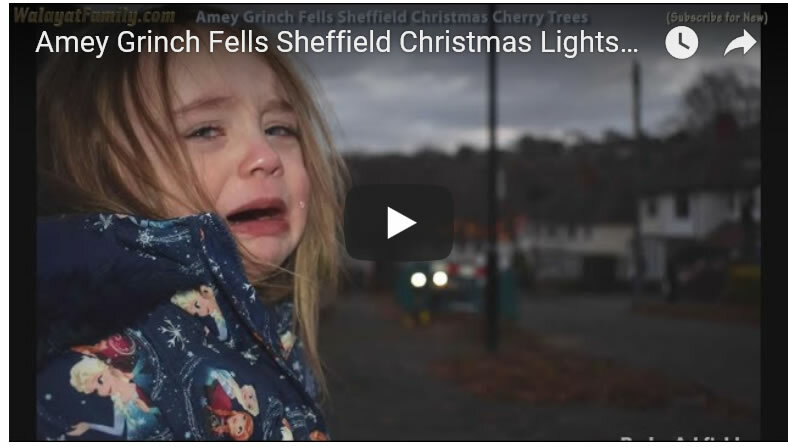 Myself are in Sheffield High Court this week, facing a three day trial which could result in our committal to prison. 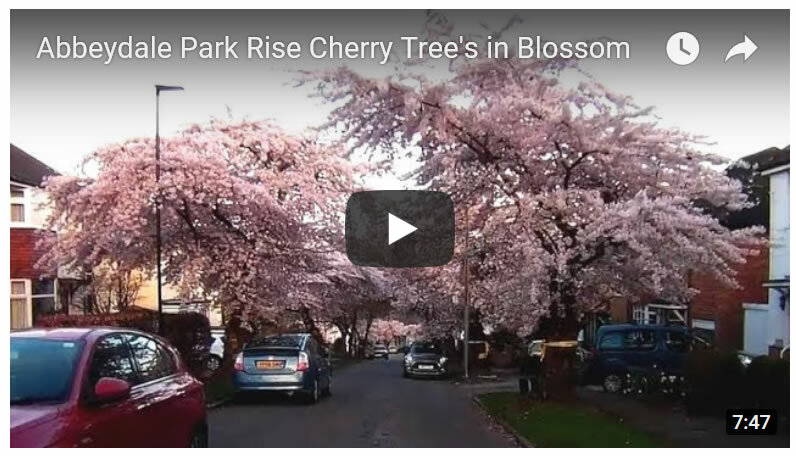 We were first contacted on 22 February 2018 by SCC's lawyers to tell us that we faced High Court, and they have kept has hanging on allthis time. This has been a highly stressful experience. 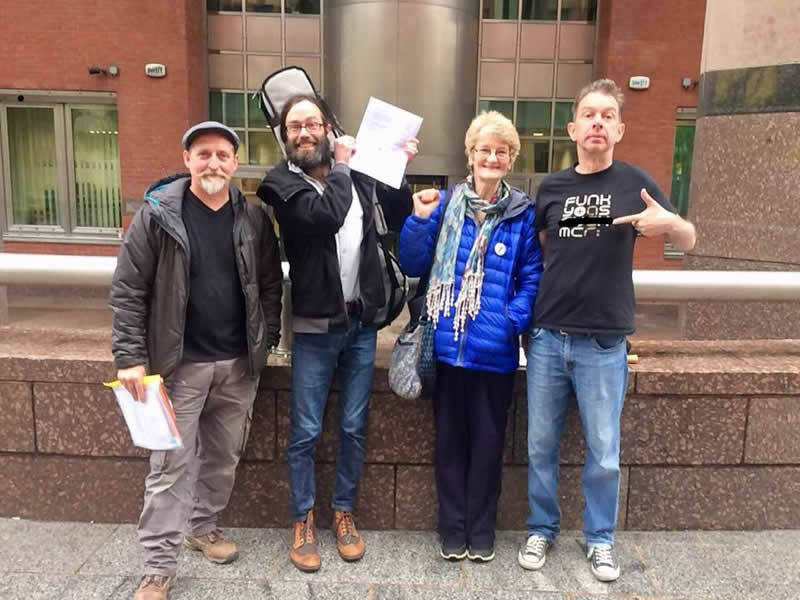 On the one hand, I’m surprised and disappointed that SCC are choosing to continue with their High Court case against myself and others, particularly in the light of recent statements from Lewis Dagnall which seem to be advocating negotiation and compromise. 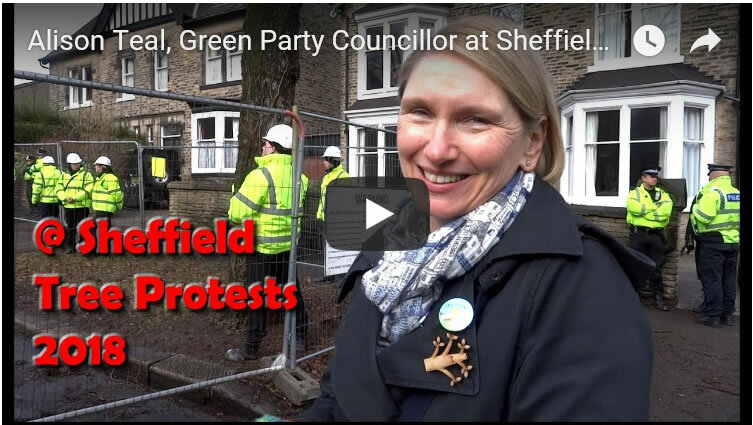 On the other, I welcome the opportunity to put my side of the argument on the public record and to challenge a High Court injunction against us which I strongly believe was granted under dubious circumstances given the recent revelations which clearly indicate that at best, SCC officials misinformed Justice Males as to the contents of the PFI Contract whilst under oath, and at worst, lied to the judge about the contents of the contract. It's going to be an interesting week. If found guilty then the four protestors could be jailed, though more likely face a large legal bill that could easily exceed £30,000. 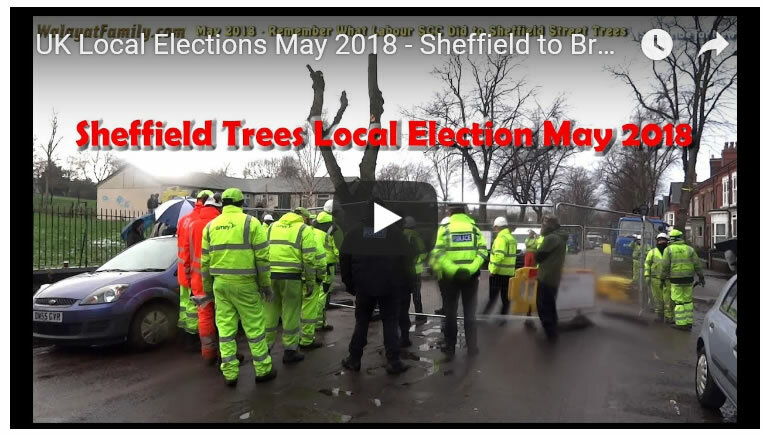 Which brings us to the recent local elections when the people of Sheffield had the chance to voice their opinion on the tree felling rampage and duly ejected 5 Labour councils from the council chamber, whilst not enough to bring Labour rule to an end, nevertheless the pain of which has meant that the halt to tree fellings has continued since. 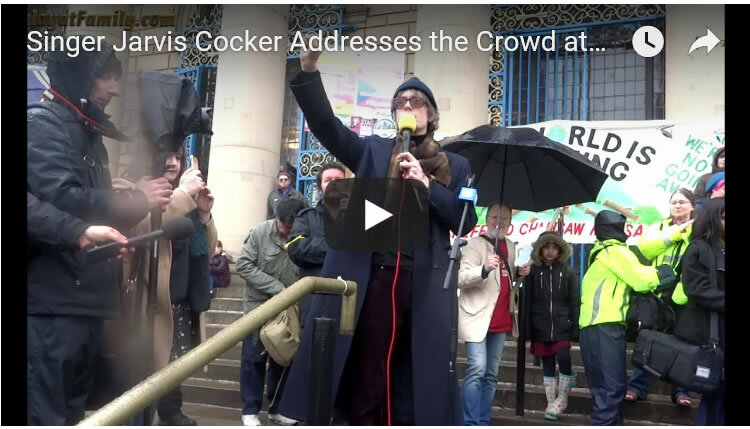 The protest movement has grown to to in excess of 10,000 people, many of whom attended a protest rally outside Sheffield City Hall on the 7th of April 2018 where Pulp front man Jarvis Cocker addressed a estimated crowd of 3000 at the "Get Off My Tree!" protest. 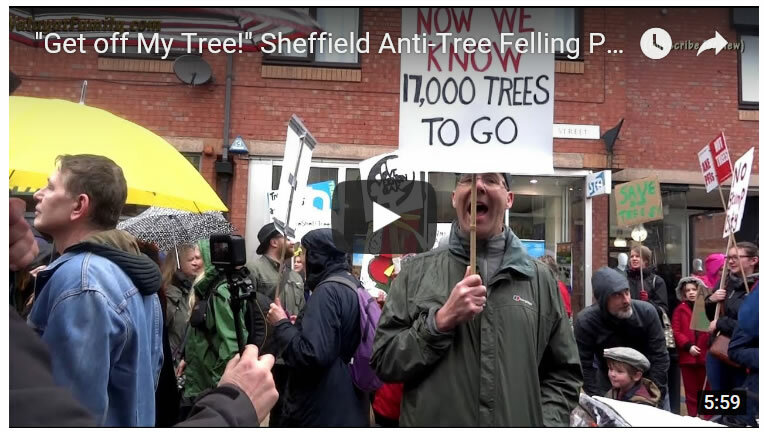 And here is an earlier election broadcast for Sheffield's tree party (all those who oppose the Labour councils tree fellings). 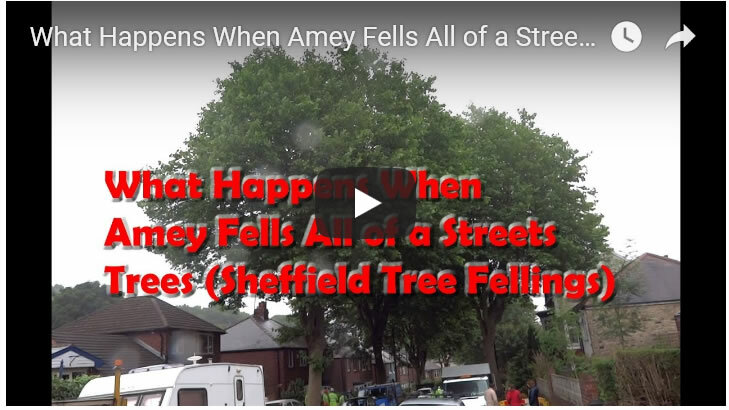 And so as history repeatedly shows that those in power for too long tend to lose touch with reality and adopt insane policies and measures such as the target to fell half of Sheffield's street trees coupled with the deployment of much needed police elsewhere in huge numbers under "Operation Testate" in support of a private hiviz militia all to fell street trees! 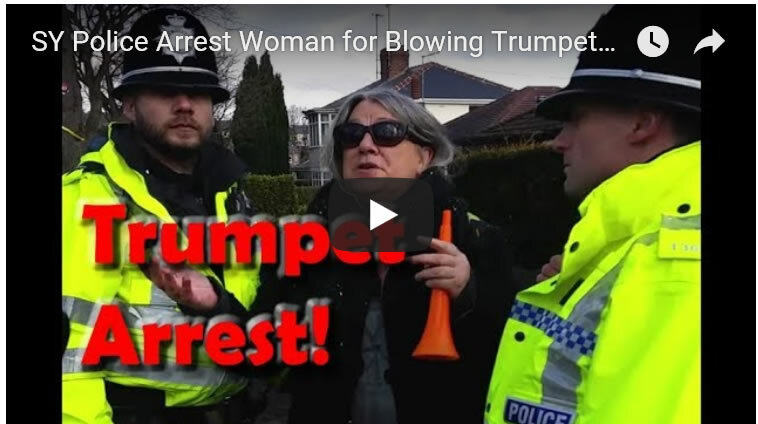 Where Sheffield stands today truly is INSANE, where a peaceful protestor can get arrested just for blowing a toy trumpet!